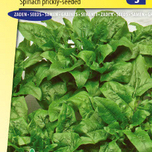 It couldn’t be simpler: just visit www.seeds4garden.com, order your vegetable seeds and within a few days you can start sowing! 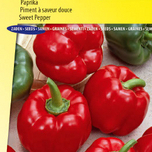 We exclusively offer the best quality vegetable seeds, for a competitive price as well as super-fast delivery. On our website we state the sowing and harvesting times for each product and you will find detailed planting instructions on the packaging of the vegetable seeds. A handy guideline especially for the hobby gardener! Vegetable seeds for the tastiest vegetables from your own garden! Experience the pleasure of cultivating your own vegetables and start a vegetable plot this year. You can enjoy vegetables from your own garden almost throughout the entire year. Whether it concerns ‘common’ vegetables such as carrots, salad, cauliflower, and beetroot, or ‘forgotten’ varieties such as green-leafed chicory or Pink Brandywine tomato; you will find it all in our extensive assortment of vegetable seeds. In the summer you will see how fast your beans climb up their supports and in the autumn how big your pumpkins grow. Are you getting itchy fingers yet? Vegetable seeds: the nicest green present! Are you sometimes pulling out your hair trying to think of a nice present for someone’s birthday? Then think of our assortment of vegetable seeds! The person receiving the present will be overjoyed when, after a few months, he/she sees the first green shoots coming up from the soil. In addition, various vegetable seeds require little space in the garden. For example, think of tomatoes or peppers, which you can keep just as well on the balcony.